Ordained educator of the Word of GOD, fervent follower of Jesus Christ, prominent community activist, compelling messenger, visionary, spiritual leader, and founder of The Covenant Church, Senior Pastor Bishop Quincy Lavelle Carswell has lead thousands of souls to Christ. 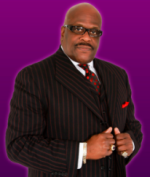 Bishop Carswell is an anointed and appointed man of GOD who consistently delivers profound exegesis of the Word in a way that provides real life application for healing, restoration, prosperity, deliverance, guidance, and solutions for the issues of today. His riveting messages have established him as an eminently acclaimed Preacher and Lecturer, often featured in National Conventions, Crusades and Conferences. The Atlanta Journal Constitution cited Bishop Carswell as one of Atlanta's most effective and influential Pastors producing a ministry that is "touching the lost, the least, and the left-out; and making an unparalleled impact across this nation." Servant. These are all qualities of a man destined for the nations. 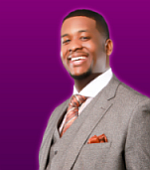 Pastor Quincy Lavelle Carswell, II resides in Atlanta, Georgia where he was born to the proud parents of Bishop Quincy Lavelle and First Lady Gwendolyn J. Carswell. He is a graduate of Morehouse College, having earned his Bachelor of Arts Degree in Sociology and Religion. He also completed his graduate studies at Luther Rice University & Seminary in Lithonia, Georgia, receiving his Master of Divinity.